*The prices does not include the following: any other expenses, such as buying souvenirs, drinks etc. The arrangement can be combined or extended on request with all other arrangements from our offer and modified according to your wishes and needs. Arrival at the rafting camp in the afternoon or evening hours, meeting with host and drinking the welcoming homemade drinks. Introduction to the area and taking accommodation. After breakfast, begin the preparation for rafting. Before the tour starts, everyone gets rafting gear (neoprene suit, neoprene boots, life jacket, raincoat, helmet, and paddle).. Creating rafting teams, meeting with the skipper (rowers) and a short introduction to rafting rules. It is important that all of the participants following instructions from rafting skipper. 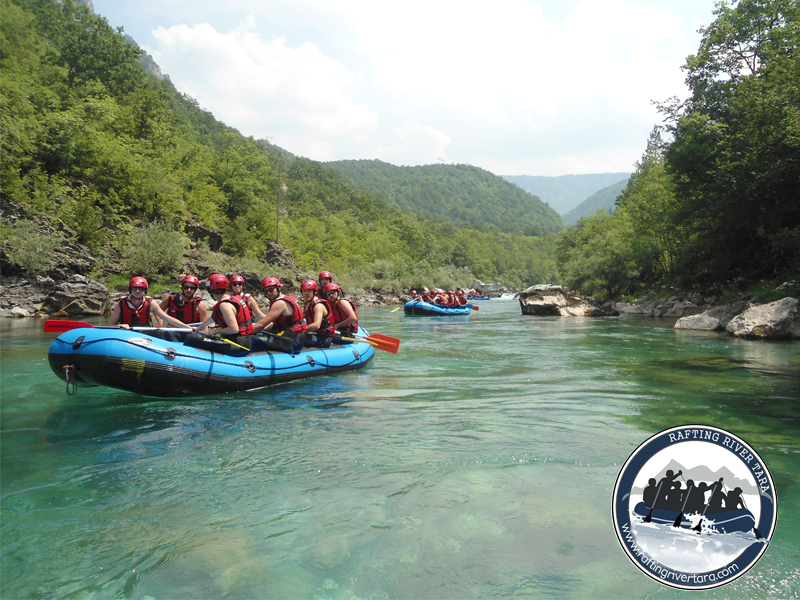 Rafting from Brštanovica to Šćepan Polje takes about 3 hours with the breaks for swimming, diving, jumping from wild, showering under the waterfall, relaxing and taking photos of the moments that you will remember all your life. 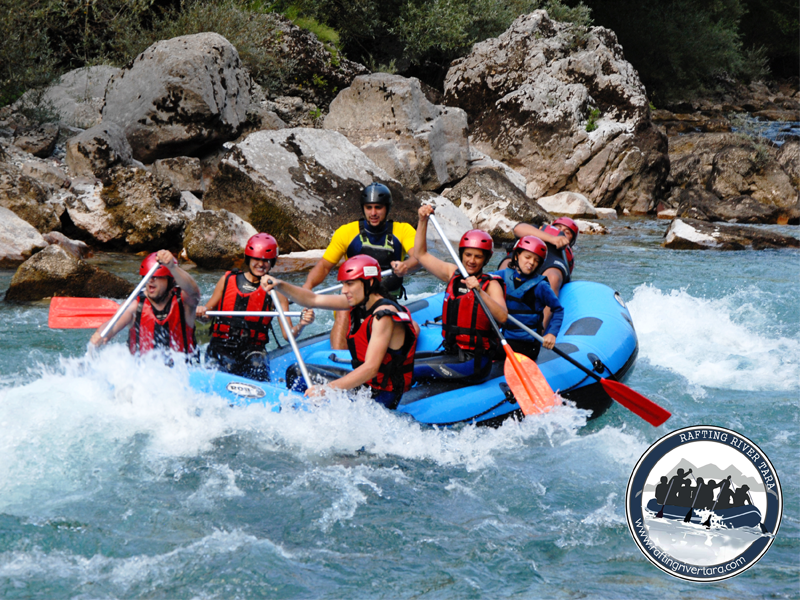 Disembarkment on the left bank of Tara River and arrival to the Rafting camp “Sastavci” aprox at 16:00. Lunch – rafting soup, veal/lamb made on traditional way under the bell, salad, bread. You must carry with you your personal identification documents (ID card for the citizens of BiH and Serbia and passport for other foreign citizens)! If You coming in July, August or September wear some relaxing clothes: eg. sweat jackets, T-shirts, shoes or sandals, etc. If You coming in May or June, be sure to bring with You some warm clothes and a warm jacket. 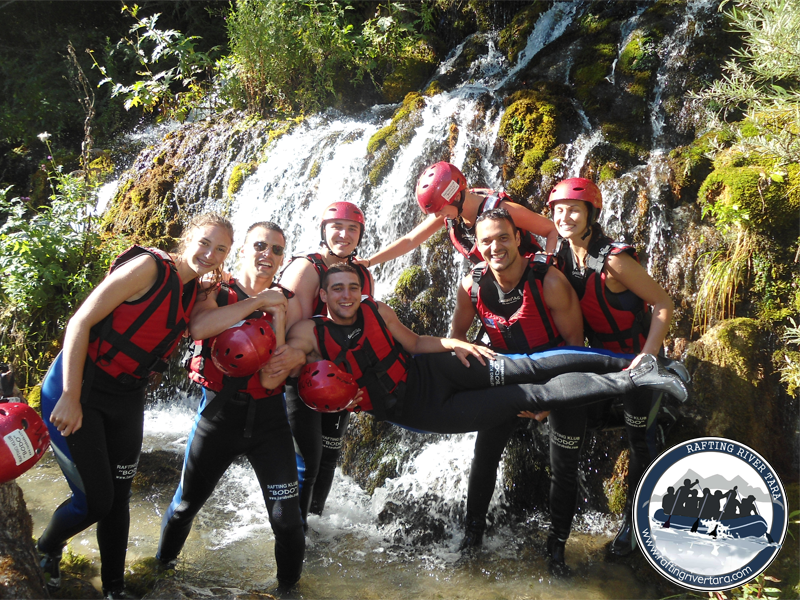 We have the latest equipment for rafting, tested and produced by certificated world companies, that provides us maximum safety during the whole trip. All participants have to take main rafting equipment: helmet, life jacket and paddle. Children under 12 years old have a discount of 30%. Please tell us, before or at the beginning of the arrangement, Your needs for changes in the food menu: vegetarian food, or food which excluding certain ingredients. Bringing of food, alcoholic and nonalcoholic drinks in the camp is not allowed. We are young and enthusiastic people, real nature lovers. We spent most of our lives here in the canyon, right by Tara river. Growing up in this area, gave us a chance to meet every point of canyon. 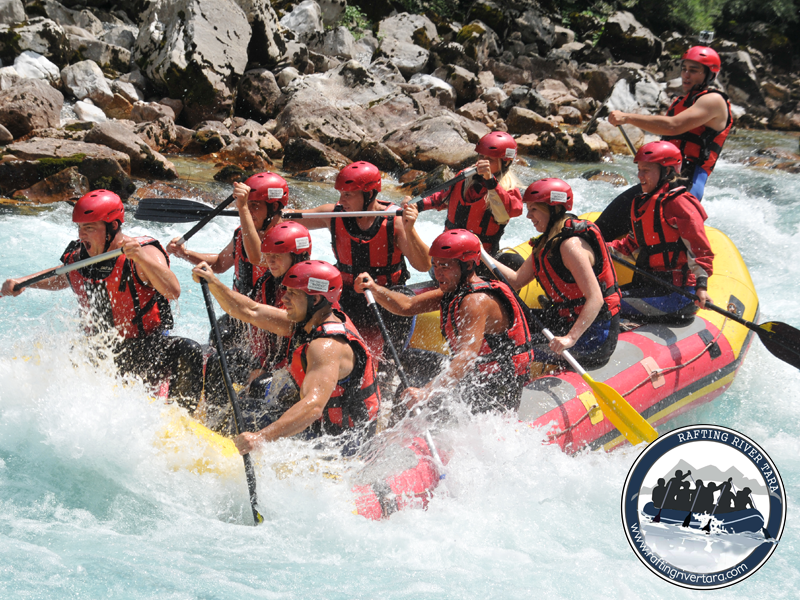 Our lifetime experience helped us become certified guides for rafting and hiking.